Discover how the sombre portrayal of humanity in the book of Hosea points us to a God who loves the loveless. 'Go and marry a prostitute.' These are the first words God spoke to his prophet Hosea. Why would he ask this of one of his special spokesmen? Becuase he wanted to teach Hosea, the nation of Israel, and all of us today a lesson we will not forget, a lesson that is painful yet joyous. Hosea's sombre portrait of the human condition is our lesson in pain. All of us have played the harlot by forsaking God and his ways. The picture is not pretty but it's true. Yet Hosea's clear illustration of God's love for us brings joy. While we are yet sinners, God comes to us and loves us. 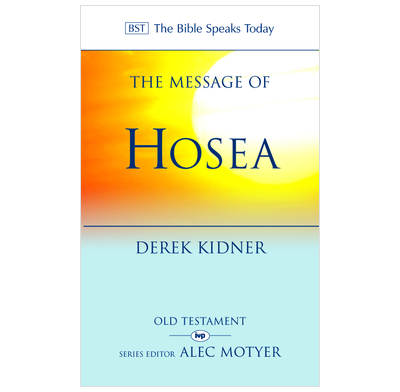 Derek Kidner imaginatively takes us through the unfolding story of Hosea and his wife Gomer, explaining the basic message, pointing out the subtleties, and encouraging readers to live lives worthy of the God who loves the loveless.